Tottenham are in a good place right now. An excellent team now established as genuine contenders, an outstanding manager and, come September, a home to call our own. The team still has room to grow, with key players like Kane, Eriksen and Vertonghen at the peak of their powers, Dele and Sanchez both internationals yet still on the up, Son, Trippier, Dier and Davies finding out how good they can be. And the World Cup winning captain in goal. Now is the time to sustain this progress, yet Spurs have failed to invest in order to maintain momentum and safeguard the future. Bereft of energy and drive, the window represents not only a lost opportunity in a highly competitive top half of the league, it also raises fundamental questions about Spurs’ ambitions and the sort of club we want to be. Throwing money at the team won’t cut it. Buying the right players when we’re making progress will. Consolidate when things are going well rather than act in a rush when we’re on the way down. Any player coming to Spurs will have to fight for his place. Our first team, first, say, 15, is a match for anyone, but we shouldn’t rest on our laurels. We need greater squad depth, with real alternatives off the bench. Also, there’s no such thing as a team that cannot be improved. It’s a long season – I’m not fussed on squad rotation but we have a back-breaking, ligament-stretching schedule ahead. All around me I hear the clamour to win something. That means going in hard on four competitions. To gauge squad depth, I think about what happens if we have two injuries in similar positions. Assuming Toby is out of the equation (if we don’t sell him, Poch won’t back down), one out and Dier drops back. Foyth to me isn’t ready for ten or twenty matches. Carter Vickers may step up, and I hope in time they can both come through into the team, but if we want to stay contenders, we should not be two injuries away from them starting regularly. I’d be delighted to be proved wrong. I see potential in both of them, and Poch is the man to bring that out, but the pressure at the top of the league is intense. This has knock-on effects in defensive midfield. If Wanyama’s hurt, as he is at the moment, gaps start to appear. Winks is the future, a top-class prospect, but he’s taken a long time to come back from falling over a bucket. Can’t rush him. Dembele is a warrior whose powers are slowly diminishing, although it pains me to say it. Rumours suggest he will be sold. I’m tripping over the ifs and buts, but this is reality rather than pessimism. If Winks is not quite right yet, and Dembele goes, our ability to shift from defence to attack is diminished. And Dier needs a rest as much as any of them. A fine player, I’d like to see him rejuvenated as someone who dominates that area in front of the back four, rather than a guy who loses concentration towards the end of games because he’s mentally weary. Kane is a hero but he’s not superman. His World Cup ended with him totally knackered, physically and mentally. He selflessly carried the burden of a nation’s expectations, and for his pains was kicked to pieces in a manner that took me back to football in the 1970s. And we know he wasn’t the same after his mid-season injury. That he kept on scoring without being at his peak showed the talent and character of this remarkable footballer. Now Levy needs to look after him a bit better. He deserves it. We all do. Llorente – does what exactly? Instead of repeating an ultimately doomed search for a Kane Clone, try a different set-up up front, with a quick, mobile forward. Son to support, Eriksen and Dele with the service. It could work out fine. Pochettino brings the young men through, our first team raise their game for a fourth season running. If anyone can, he can. We have to steer clear of injuries, mind. He also has the tantalising option of rehabilitating Toby. Good managers find a way of building bridges if they believe it benefits the team. Not Pochettino’s style, but he may be left with no choice. Spurs are doing their utmost to shift Rose by all accounts, but he could still be around too. That said, I simply do not understand why Levy leaves Spurs so vulnerable. He hasn’t done so when it comes to stadium finance, so why risk the progress of the best Tottenham team since the mid-80s. Plus, and this is a plus as big as a house, why risk alienating his manager, the man who has made this all possible. All this tosh about a £150m war chest isn’t sustained by any quotes from the club, as far as I can tell. However, Levy has reinvigorated the salary structure and stated that transfer funds are available. The feeling is, this was a major influence on Pochettino’s decision to stay because the club’s ambitions matched his. In public, Pochettino plays the game. He’s today repeated comments in his book that he would rather make do with what we have than buy players who don’t fit the bill. These qualities make me admire him all the more. However, this is not the same as telling his chairman there’s no need to sign anyone, because the right players will make a difference. He must feel let down – the only remaining question is, to what extent, and does he feel sufficiently disaffected to reconsider his position at the end of the season? Pochettino has been fundamental to our progress, so I repeat, why leave Spurs so vulnerable? This raises two other, related questions about the way the club is organised. One, Levy’s transfer policy. He’s right to be careful about how he spends the club’s cash and to repeat, Spurs are never going to chuck cash at a problem and I’m fine with that. What I would query is Levy’s notion of ‘value’ and whether that has kept pace with market developments. In the recent past, he’s spent money on players who can get better, don’t expect top-level salaries and have a sell-on value. When it works, as with Dele or Sanchez, it is a masterful strategy. When it doesn’t, as with N’Jie and N’Koudou for instance, to me it’s still worth the punt because he’s (presumably) backing his scouts and manager, and although we lose money, we’ve not bet the house on them making it. These days, there are other factors at play. PL clubs have so much TV money, there’s less pressure to sell. Other PL clubs will pay higher salaries, not just those in the top 6. Restrictions on the number of non-homegrown players in the squad, plus the stadium costs of course, create pressure on Spurs to sell, which in turn is more difficult because potential buyers see the chance to exploit that pressure, a tactic Levy is familiar with. Clubs abroad can sit back and wait because their window is yet to close. Price is what the market determines, not what Levy wants it to be. In short, if you want someone, pay the money. At Spurs we’re talking about two or three players, not an entire team. The value is therefore expressed in how they will improve the team and, if we’re talking money here, on the extra income from TV coverage, league position and CL achievement that improvement generates. This team is at a stage of its evolution where we need experience and ability, and that costs. To me, the right player is worth it whatever your perspective. 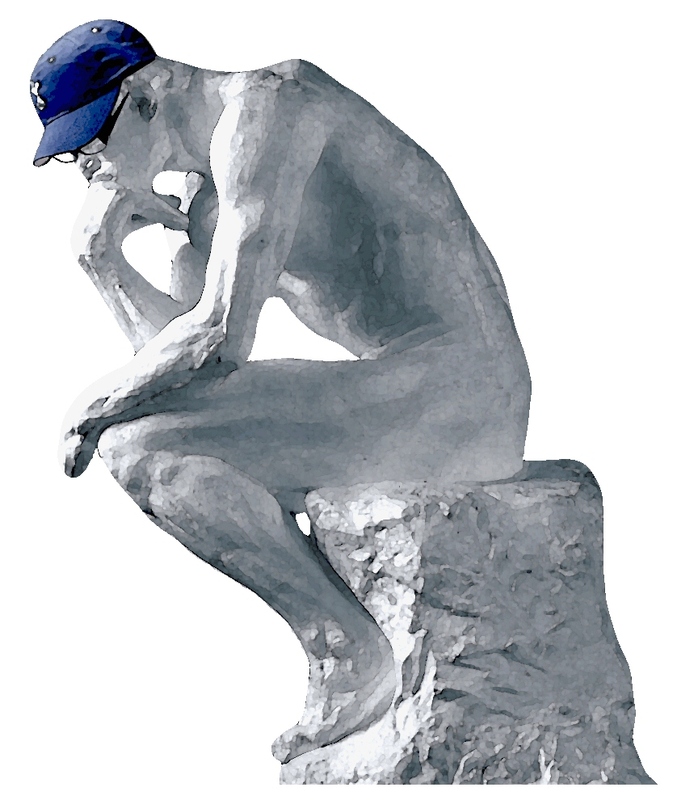 All of which assumes we can find the right players. I question how well the scouting process is working. These days, clubs identify a list of targets and work their way down. If Spurs can’t find any player who fits the bill, whether as a starter or squad member, that suggests we have a very short list. Pochettino seems to prefer to work without a Director of Football. I get that – he wants to be in charge. The problems Spurs have had with DoFs since Levy took over have been ones of organisation and management. The holy trinity of manager, chairman and DoF have not worked together effectively. Indeed, allegedly Arnesen and Commolli were distrusted as they worked behind the scenes to undermine the manager. Allegedly. It’s reasonable therefore for Levy to have misgivings about this post, although management issues are his ultimate responsibility and suggest weakness on his part if they were not dealt with. Whatever we call him – DoF, Head of Talent Identification, chief scout – the system must work better than it is now. Poch must know and trust someone for the role. Writing this, a calendar notification popped up on the screen. It’s easy to forget we have a game on Saturday. At the end of last season, Pochettino was keen to do business early, to get players embedded in his Spurs Way, in contrast to previous seasons. He may feel aggrieved about this, but I doubt this is too great a problem, because once the World Cup squads were announced, any proper pre-season went out the window then and there. Pochettino must turn the absence of new players to our advantage. We may be rusty but these men know how to play together. Hitting the ground running may be too much of a stretch, but a decent canter will keep us going. I fear though, that the mental strains of the World Cup as much as the physical effort will catch up with them at some point. That said, maybe the strength, the will to win, that resilience is something they’ve all learned in Russia. A high stakes season – push on or risk being overtaken. The fans are watching developments too. Fans come to an understanding about their relationship with the club. We are prepared to give up time, money, energy, patience, relationships even, prepared above all to get behind the team, but we want something back. Not much, and we are prepared to put up with a lot, but something. We want to be recognised and we want to feel that the club and players feel the same way about Spurs as we do. Doesn’t sound too onerous a demand. Trophies would be good, but first and foremost, we want the club to respond. Watching Spurs is never going to be cheap but the extent of the ticket price increases plus the realignment of long-standing friendship groups in the stands and the Park Lane, the fans’ end, pockmarked with the 1882 scars, caused dismay. Season ticket sales have predictably gone well, although as I understand it, around 2000 fans who enjoyed or endured Wembley did not renew. 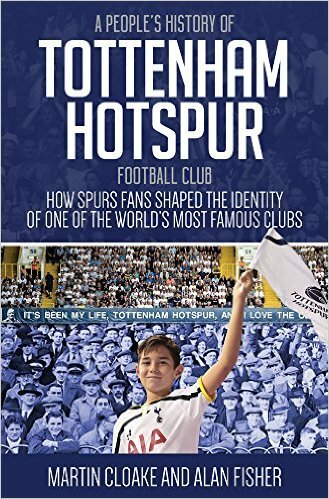 Stories that 6-month-old babies, registered as Spurs members by proud parents even before they popped down to the registry office – get your priorities right – have been offered season tickets because they’ve reached the top of the waiting list, show that while the offer is popular, demand isn’t infinite. It may be good business to ascertain the limits of demand for your product. However, I sense there’s a ceiling here, where supporters are saying, look, I love the club but that’s too much money. I’ll come every now and again, and renew that Sky subscription (or find a good stream). The joy of being there may not have a price but watching Spurs regularly does. People have to prioritise in this era of austerity. Supporters have a bond with these players – not even the wide-open spaces of Wembley could separate us. Not to be taken for granted, this. A few years ago, the distance between club and fans created disaffection and disquiet. But this lot, they play with passion and integrity. They give their best. They don’t hide. The new ground, officially called “The Tottenham Stadium Until We Flog the Naming Rights”, offers the dual security of home and a vastly increased income stream. We’re modern football fans. I’ll work up a chant in praise of prudent amortisation just as soon as I think of a word it rhymes with. Football carries an element of escapism – take me away from reality for 90 minutes. But the prices and the lack of transfer activity pose a question that no one can ignore – what do we get for that? I’ll be there – being a fan is as much about the friendships, the thrill of being there that for me has intensified rather than dissipated over the past fifty years. Prices and a transfer window that implies the chairman lacks ambition create a breeding ground for resentment, once the new stadium bounce wears off. Again, I hope I’m wrong, but whether I am or not, the club is left vulnerable at the point where we should be celebrating. Why undermine progress in this area too? Does Levy expect fans not to complain? The Fulham game offers an example – judging by the ticket availability today in virtually all parts of the ground, people will not make the effort. As a goodwill gesture, the club could have reduced prices, but they’ve rejected that option in favour of short-term income gain. So that’s off my chest. Let the season begin. Some football will do us all good. I’ll be writing Tottenham On My Mind regularly this season, probably not in line with every fixture though. I deeply appreciate all the messages I’ve had saying that people would like me to keep writing, means a lot to me, thank you. The quote from Sean Dyche comes from Michael Calvin’s new book State of Play – under the skin of the modern game, due out on August 23rd. Full review later this month. If you read this blog, it’s right up your street. Packed with insight and meaning. Anyone can criticise. It is easier than saying well done. Daniel Levy deserves to be congratulated. He is the longest serving chairman in the Premier League and under his reign, Tottenham Hotspur is the envy of most clubs. He has brought stability, profitability, attractiveness and success to a team that in past times was deep in the doldrums. He has appointed a manager who is as astute as they come and who he has allowed to implement his own philosophy. He has ruled over the construction of a fantastic stadium and training facilities and has increased employee numbers and local facilities in the process. He is successful because he does things well. Have some faith and respect in the man and to you doubters, stop being so negative. You need to have faith in the youngsters coming through and as a young squad they should improve their understanding of each other ? So just maybe we will. see some of the youngsters break through and maybe in January. Levy gets the player or players poch wants ? ps Enjoyed the article and now have the website on my ‘favourites’ list. Fatal lack of ambition?, They have just built an 850 million pound stadium how’s that for a lack of ambition. Great read and bang on the money. Such a good article. Nice article to start the season as a ‘throat clearer’. After so many years of my club grabbing the headlines with some stunning pre-season transfers it’s strange to think that there are no new names and faces to tickle the imagination. I’ve spent most of the day thinking, “WTF?”, (and probably the weekend too, as I watch everyone else’s show ponies turn up to the races). In a way I’m slightly relieved the Grealish transfer didn’t happen. It had the Sissoko panic buy written all over it and we all know how that movie ended. But the chickens are coming to roost with the vaunted pay structure. Zaha would have been a really interesting name to add to the squad. Sell a couple of players to soothe pain of the wildly exorbitant purchase price and it wouldn’t hurt so much. But the real problem Levy is facing is that Zaha can demand and probably get a sickeningly high wage that makes a nonsense of the so-called structure. It’s well known that we operate on another level or two below Europe’s wealthiest clubs and the players and agents avoid us if they can in order to preserve their cut of the deal. Thus we are grabbing at the crumbs that fall from the top table and sniffing around the Grealish’ of the world. It makes the achievements of Poch all the more remarkable. Let’s get over this now. The players we wanted weren’t available, or available at a reasonable price, and our sourcing of decent players to come in and cover positions, and be happy covering positions, failed this summer. But I don’t blame Levy, Poch or our scouting system. It was just the way it was. If that sounds glib, then it’s because I believe wholly in the present squad, and more importantly, I believe Poch does. The Walker mistake aside, we’ve set markers down in the past 3 years, and we have been (overall) the most consistent team in the PL, and on our day one of the best in Europe. We continually talk (or punters talk) of this young team/squad finally fulfilling its potential. Well let’s just do that this season! We don’t need to ‘freshen up the place’ as so many say. We have a great comradeship among our squad (without the worrying factors of bedding in at Wembley early last season, and those early distractions besetting Alli, Dier and Rose). In fact, Toby, Rosie and Dembele will be encouraged to continue being part of that ‘togetherness’ for this season, and they’ll step up for the fight. So what if we lose money next summer on Toby. I rather we’d have kept Walker one more season, and sold him for less this summer, rather than spending half the money on an inadequate Aurier. In fact keeping Walker could have been the difference between winning something last term, and not. Long term profit and success was possibly sacrificed for short term profit. We start this season with a damn good (and intact) squad along with fine young players coming through (evident in the US tour) and, any start-of-season distractions all but gone. That’s fresh enough for me. As much as we could do with a creative central playmaker (opportunity for Winksie perhaps?) and proper striker back-up for Kane (Llorente and his experience could still surprise us) 1) where are these players? 2) Do they want to come to Spurs? 3) Would their clubs let them go? 4) Would the fee be anything but ridiculous? 5) would they improve us and add to the squad togetherness (perhaps the most important thing) and so on. To sum up, this transer ‘inactivity’ is not disastrous. Disappointing perhaps, but no one of importance left, and I firmly believe that Spurs have enough about them to finally win trophies. Only the slightly brittle mentality when it came to vital games last season (Juve in the CL, and Man U in the FA Cup ..both at Wembley) stopped us. New ‘impossible to get’ players wouldn’t necessarily change things for this season. We need to work on forging a stronger mentality that no longer reflects the still (albeit very slight) inferiority complex we suffer from, and we need to be more ruthless as well as slick and incisive. Our first team (with the decent cover still available and youngsters coming through) can be the equal of all the top clubs. We’ve proved it in one-off games. Now it must become consistent. Maybe what Pochettino wanted was for Levy to be brave by increasing wages for the players he wanted to keep. The players he wanted are probably very specific ones, so he doesn’t want to have end of sale buys for the sake of buying. I wonder whether we will be buying in the winter window. It is frustrating. My main concern is that the most important signing, Pochettino himself, will leave at the end of the season if ManU or another big club matches his ambition. Alan,the one player we bought in the past year I don’t think you even mentioned,is Lucas Moura. Thanks for writing and same for the comments. It’s nice to feel close from here in the US/Philadelphia. COYS. Alan, thank you as always for your thoughtful comments. I think Levy just screwed up on the transfers, as simple as that. But thats nothing compared to screwing up on stadium cost over-runs, which will mortgage several seasons. Bang goes silverware dreams.